We’ve got a big week ahead! We will take Milestones Math tests on Monday and Tuesday of this week. Thank you to those who signed up to send in snacks or bananas. Friday of this week is our trip to Chattanooga, TN. An information letter came home with students on Friday. Please read over this – we’ve discussed the details with students and will continue to do so this week. Students should arrive at school at 6:30 AM. Wear your class t-shirt, jeans, shorts (dress code applies), and comfortable tennis shoes. No sandals, flip-flops, slides, etc. You cannot participate in this field trip if you do not wear tennis shoes. Students SHOULD NOT BRING ANYTHING with them. This includes CELL PHONES or other electronic devices – every student has a chaperone that will be able to contact in the event of an emergency. We will not be visiting gift-shops, and food is included in the trip. No outside lunches (with the exception of previously documented food allergies). Students will be provided snacks and water throughout the day. It will be a great day, full of memories! I’ll take lots of pictures to share as well. Science: We are learning about magnetism and we will finish up this week. Students will work on exit tickets again this week. Social Studies: We finished up WWII and will test on Wednesday 4/24. 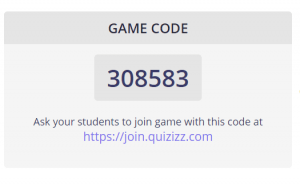 I have posted a quizizz (see previous blog post), and students will have their social studies notebooks to study from as well. The Einstein passage and questions are due tomorrow, Monday – 4/22. Language Arts: We will stay with homerooms on Monday / Tuesday of this week due to the testing schedule. Students will not have ELA homework on Monday of this week. ELA homework will come home with students on Monday, but will include Tuesday – Thursday. We will write in Bell Ringer Journals, learn 5 new vocabulary words, and work on decades projects. Students should have 2-3 areas of research completed by the end of this week. I will be checking in with students this week as I see each of the classes. Students should also know which person from their decade they would like to research. If you need ideas, please ask for help. Many students chose someone from their research guide, but students may choose any significant individual from the decade. We will begin working on those essays next week. I will provide students with a biographical outline for them to organize their notes / information. Spring Picture packets will come home today. All students received an envelope of pictures, even if you did not pre-order. If you do not wish to purchase the pictures, just return the envelope tomorrow. You will also see an order form for the 5th grade Panoramic picture. This is the whole-grade level picture that is typically displayed in the hallway beside the media center. Send in those orders the rest of this week / early next week. Picture is taken next Thursday. Students will also bring home the annual information / registration form. Please check that information is correct, make any changes necessary, sign and return to school tomorrow. Spring Fling was so much fun! I was dunked way too many times in that tank! Thanks to all for playing along and supporting our PTA at Spring Fling! 4/15 – 4/19 = EGGSTRAVAGANA! $1 eggs & prizes! 4/19 = Career Day & Spirit Day – dress in your future career AND we’ll have visitors from various careers too! 4/25 = 5th Grade Panoramic Picture – WEAR 5th Grade T-shirt! 4/26 = 5th Grade Field Trip to Chattanooga! – Wear T-shirt! – more info to come home soon. We have no Milestones testing for 5th graders this week, so we will have as normal of a week as we can (it’s nearly impossible this time of year)! Science = We will finish mixtures and do our exit tickets. We will begin looking at magnets and electricity by the end of this week. Students will be finishing up a STEM challenge related to electricity as we work in this unit of study. Social Studies = We hoped to finish WWII last week, but just couldn’t do it. We will finish up this week and schedule our WII test. I am looking at Friday 4/19, but it may have to be pushed. 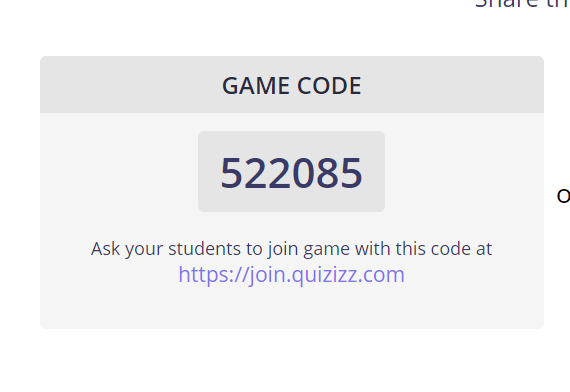 I will begin asking students to bring home Social Studies notebooks to study and I will post a quizizz for them to use as a study tool. Look for that post to come early in the week. We begin studying the Iron Curtain and Cold War next. Language Arts = We discussed our DECADES project last week. This is our culminating project for the year. It will be a Social Studies grade (graded on a SS rubric) and a Language Arts Grade (Biographical Essay)….AND It is a big project! I asked last week that students come on Monday (4/15/19) with an idea of which decade they would like to focus their research : 1950s, 1960s, 1970s, 1980s. A few students may even choose 1990s. We will turn in our top 2 choices tomorrow and Mrs. M will split us up. Students will be curating a virtual museum for their decade after they finish research. I will continue to discuss guidelines (already posted in DECADES section of OneNote) on Monday. Students begin research immediately and can check out resources from me as well. We won’t have a minute to lose on this one (as our days together without interruptions are limited). They will need to stay on task and keep up with their research so that they can develop their virtual museum. Students can work on research at home if needed. Thank you to those who continue to read the blog – especially those who are not in my homeroom. See Mrs. M with codeword: dunk for a Monday treat. I hope everyone had a wonderful break! We have 6 1/2 more weeks of school. Let’s make them count! Milestones Testing: 3/10 – 3/12 – ELA sections. See Notes below. 3/10 – 3/12 = Adjusted Specials schedule due to testing. Specials at 12:15 during Testing days. 3/12 = Spring Fling @ Pickett’s Mill! 4/15 – 4/19 = No Milestones Testing this week. 4/22 – 4/23 = Milestones Testing – Math Sections. 4/26 = TN Field Trip – please return permission slips if you haven’t already. I’ll send extra copies as we get closer as well as an itinerary. Testing snack sign-up. If you can help us out with snacks during testing, the kiddos and I would be very grateful! Click the link to sign up for bananas or after-testing snacks. We do not have any allergies in our class. Thanks so much for your help! We will be testing each morning from 8:00 until we finish (usually 9:30 – 10:00). We will begin each morning as soon as announcements are over. It is very important that students are in their seats at 7:50. Language Arts: Since we will be testing this week, there will be no assigned ELA homework. If you’d like to review (we will do a lot in-class on Monday & Tuesday), you can use IXL and No Red Ink. You’ve worked really hard on mastering these language skills like grammar, verb agreement, and figurative language. Show what you know – I am very proud of you! Oh! We will also learn about interjections this this week. Science : We will take a look at mixtures and solutions this week. Students will have notes in their IAN and exit tickets. We will create a few mixtures of our own as well. On Tuesday, we have a special SKYPE session with a world-renowned scientist! Social Studies: We have been learning about WWII and learned about Pearl Harbor just before break. We will continue to look at the effects and the U.S. involvement in the war. We’re going to have a great week! We will get our first 3 days of testing complete AND Spring Fling is on Friday! 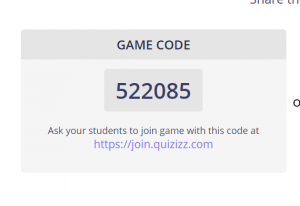 The EPIC Spring Break Quizizz Challenge! 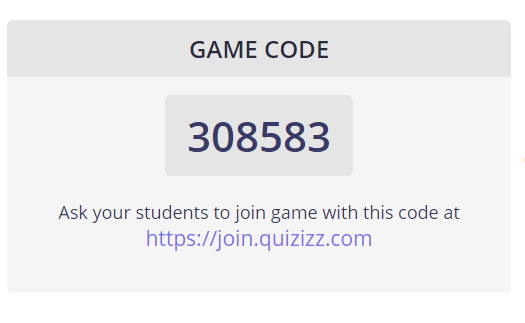 Use the Game code above. Play as many times as you want to reach 90%. If you score better than that, great! If you meet this goal, you will receive an automatic 100% quiz grade on your next 2 ELA quizizes. You will be ready for other EPIC games we will play in Language Arts after break and will be prepared to CRUSH THE COMPETITION! I am NOT perfect. You probably know this by now. If you notice an error, please email me. I will try to fix it. Have a great break. Don’t focus all your time and attention to this – you can practice in small chunks of time and then be ready to tackle them all! There are 50 questions. That means they are 2 points each. How many can you miss to still get 90%? You do the math….it’s good for you. The game is open until Monday 4/8 at 7:45 AM. Don’t forget you have a reading challenge from Mrs. Allen – too. Keep looking for it. I have to pick up my kiddo from middle school. I’ll post it and a reminder of the rules right after it’s finished! Tomorrow is a color day for our Colo Me Timbers Color Run. Fifth graders wear red tomorrow! students were also reminded to bring home their science notebooks today. I will post a few study resource in OneNote student notebooks as soon as I get home this evening. 3/28 = Chemical Change Cafe – Misinco’s HR. Science: We will have a quiz on Wednesday this week over physical and chemical changes. Students will bring their science journals home each day this week to help prepare. Students are asked to determine whether a described change is a physical change or a chemical change. We also have our Chemical Change Cafe on Thursday! Students are super excited about this event…let me know if you plan to attend so that I can add you to the visitor list. Social Studies – We are learning all about WWII. Our class loves history! We’ve been learning about the dictators and democratic leaders of the war and will quiz those on Tuesday. Students should bring their SS notebooks home to study. We will review in-class as well. We will also look at German and Italian aggression during this time. Language Arts: Students will work on bellringers this week and learn/write about Archimedes, Rosalind Franklin, and Forensic Science. We will do some grammar goofs this week as well. Our Language Quiz on Friday was thwarted by some technology issues. We will do this on Monday to catch-up. For those who go to Mrs. Orton on Mondays, we will try to tackle this in homeroom. Our language quiz this week will cover too, two, to, and our weekly grammar goofs. Students have practice for To, Two, TOO in No Red Ink. We’ve practiced this before…so show what you know! We should have an exciting week this week as we have guidance, the Chemical Change Cafe, AND the Color Run! I hope you have a restful and relaxing Spring Break! Tonight for ELA Homework – complete Verbs assignment in No Red Ink. It should take only 10-15 minutes at most. Mrs. Misinco and her team of 5th graders publish events and updates related to 5th grade classes.